Tonight I was just settling down to some work involving spreadsheets (you know, relaxing before bed) when I heard an odd chirping sound, like a bird had gotten stuck in the house. 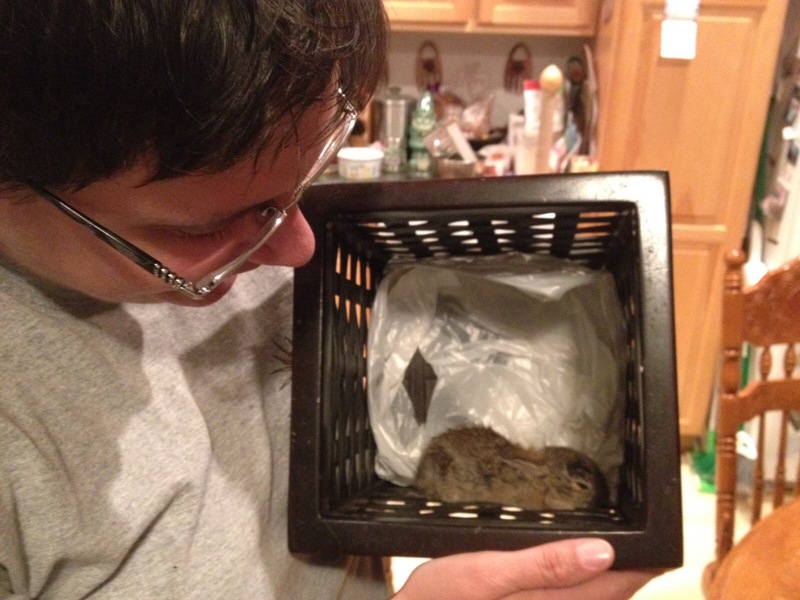 Well, turned out it wasn’t a bird, but a baby rabbit, which had not wandered in but been carried (unwilling but also unharmed) by one of our seven cats. 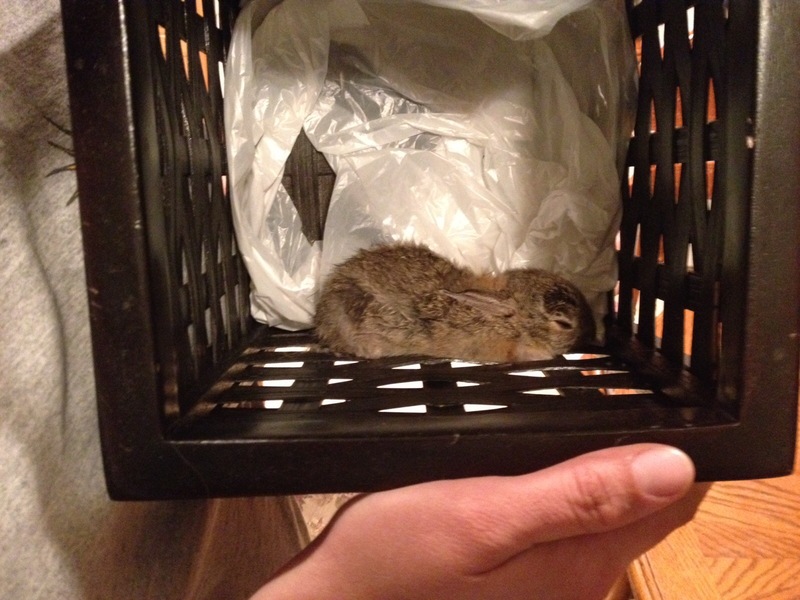 My housemates brought it to me because they didn’t know how to get it to safety — apparently just putting it out in the yard would not do — the fate of a previous bunny hostage freed by zealous protectors who nonetheless were not prepared for the second attack was recalled. 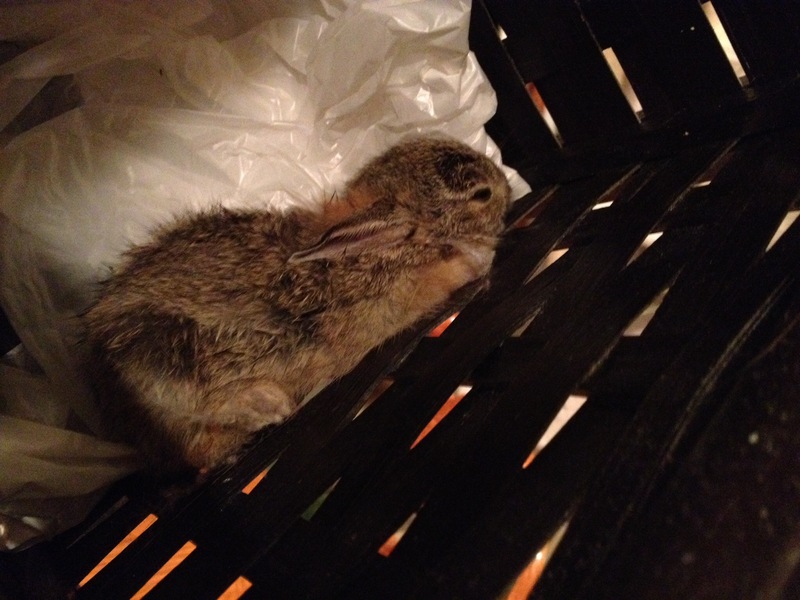 I offered to carry the bunny, in the basket in which they had corralled it, to a park down the road. I was in my pjs and the bunny was crouched waaaayyyyy down in the basket. I had to kneel in wet dew and touch slimy carrots (sent along as an enticement but perhaps not up to snuff) But walking the baby bunny to the park on a cool, humid Colorado night was SO AWESOME! The streets were quiet and the leaves were shimmery green and I actually got to carry a baby bunny. All I can say is O-M-G. When we got to the park I had to leave it to its own fate, heaped with whatever protection spells I could fathom, still crouching tightly in the grass, ears back so far they almost disappeared. It was such a sweet little being to come into my life tonight and fulfill a long cherished wish. Thank you, baby bunny, and may the force be with you!